After successful completion of this course you will be qualified to deliver preschool gymnastics for walking to school-aged children. If you hold a UKCC Level 1 (or equivalent) in any gymnastics discipline you will be able to assist in preschool classes developing the skills on the syllabus. If you hold a UKCC Level 2 or above (or equivalent) in any gymnastics discipline you will be able to independently deliver preschool classes developing the skills on the syllabus. On this course you will have the opportunity to understand the key developmental areas for preschool children, and the coaching strategies you can use to aid effective development in these areas. You will also gain an understanding of how to select age-appropriate progressions, supports, communication methods and coaching behaviours to ensure preschool children develop in a safe and fun environment. This course is for you if you hold a UKCC Level 1 or above in any gymnastics discipline. If you do not have any experience in preschool gymnastics, this course will give you the knowledge, understanding and confidence to deliver preschool gymnastics sessions to children. 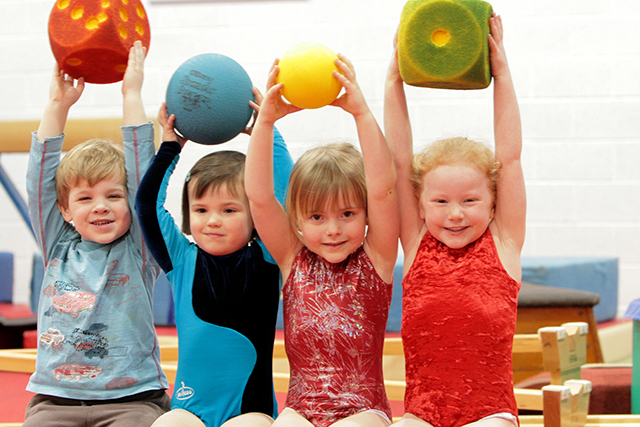 If you have an existing qualification in preschool gymnastics, or you have prior experience in delivering preschool gymnastics this course is an opportunity to get up-to-date and reinforce good practice. 1) Demonstrate knowledge and understanding regarding the Social and Emotional, Physical, Language and Cognitive, Inquisitive, Creative and Educational developments that occur in preschool children from walking to school-age. 2) Translate knowledge and understanding of developments in preschool children from walking to 5 years into the planning and delivery of preschool classes. 3) Select and utilise age appropriate progressions to develop skills from the syllabus with preschool aged children. 4) Create sessions that integrate play, creativity and fun. 5) Organise and manage all aspects of a preschool session including the integration of parents and carers and the adaptation for children with disabilities. 6) Apply appropriate coaching behaviours and create a safe environment for the development of preschool children. eLearning: You will have access to eLearning modules that explore the key areas of development you should have knowledge and understanding in to work effectively with preschool children. Each module has been designed in conjunction with experts in preschool gymnastics to provide the key information required to be a safe and effective Preschool gymnastics coach. You are expected to ‘Demonstrate Knowledge & Understanding’ of these topics during the practical course days to pass the on-course assessment, however the completion of the eLearning modules is not compulsory. We will email you before the start of your course with details of how to access your eLearning modules. - Full Attendance to practical course days. - Engagement: Your tutor will be assessing your attention, motivation, interest and involvement in the course activities. - Demonstration of Knowledge & Understanding: Your tutor will be assessing your knowledge and understanding of key aspect that are covered in the eLearning. - Safe Coaching Practice: You will be expected to show safe selection of progressions, supports and coaching behaviours when you work with preschool children on-course. Once deemed Fit for Practice by the course tutor, you will be qualified to develop movements and skills from the syllabus with preschool children. You are advised there are skills which you may be qualified to teach in other gymnastics disciplines which are not appropriate for preschool children. These skills can be found in the Prohibited Skills List. Any coach practising skills which are included in the prohibited skills list, supplied as part of the course syllabus, with preschool participants will be deemed to be operating outside their accredited syllabus. As a consequence of this, the skill would not be deemed to be a recognised activity within a recognised environment and any insurance cover would be rendered void. Engagement: Your tutor will be assessing your attention, motivation, interest and involvement in the course activities. Demonstration of Knowledge & Understanding: Your tutor will be assessing your knowledge and understanding of key aspect that are covered in the eLearning. Safe Coaching Practice: You will be expected to show safe selection of progressions, supports and coaching behaviours when you work with preschool children on-course. How long until I am qualified?